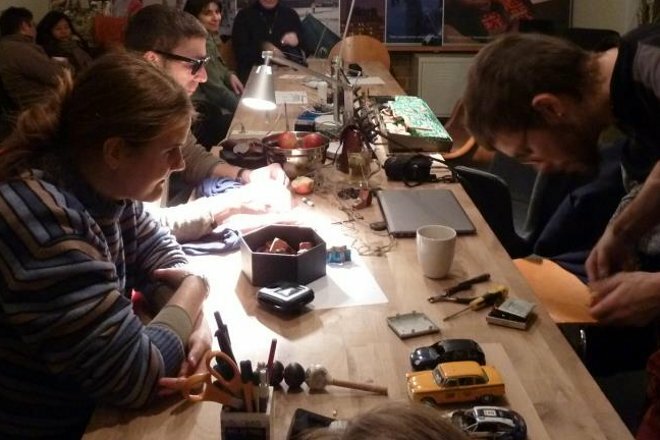 Pixelache | Trashlab Repair Cafe monthly events in 2013 begin 23.2. 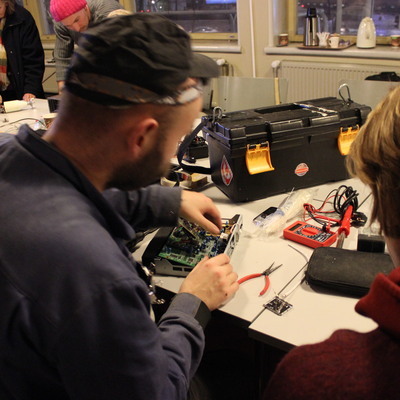 Trashlab : Trashlab Repair Café at Made in Kallio : Trashlab Repair Cafe monthly events in 2013 begin 23.2. 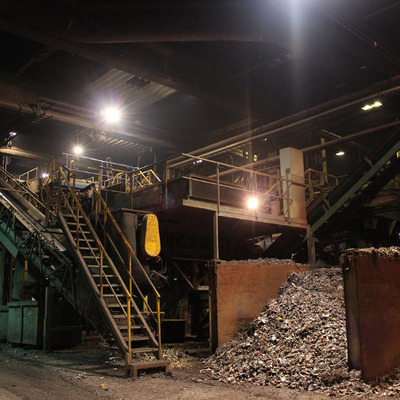 Trashlab Repair Cafe monthly events in 2013 begin 23.2. 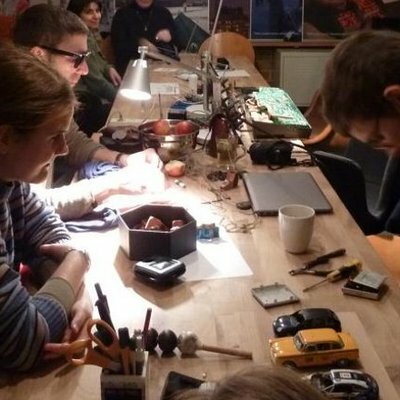 As promised following the first repair-cafe event organised in Helsinkilast December, thanks to the initiative ofPäivi Raivio, there will be 'Trashlab' branded repair-cafe events each month at a series of different venues this year, as part of thePixelversity 2013Waste/d theme. 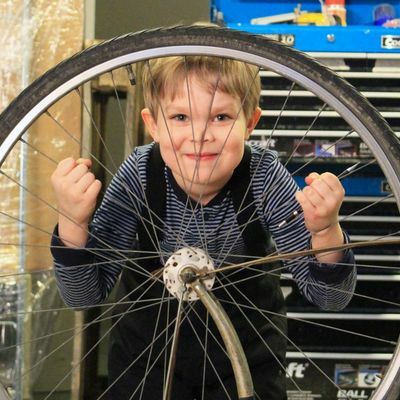 The first of the year takes place onSaturday 23.2. from 14-17atMade in Kalliospace (Vaasankatu 14).